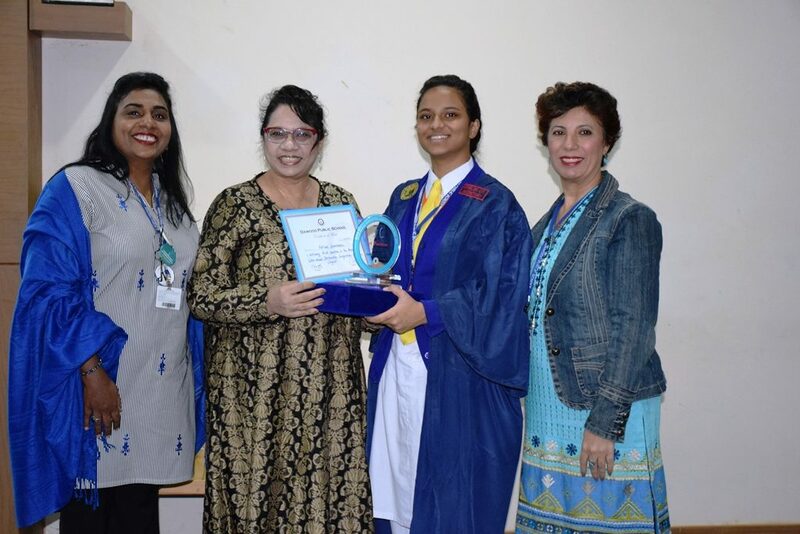 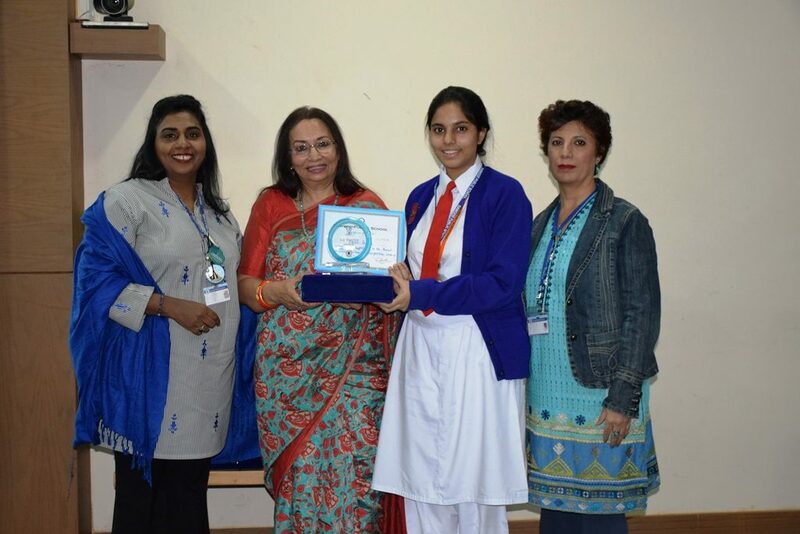 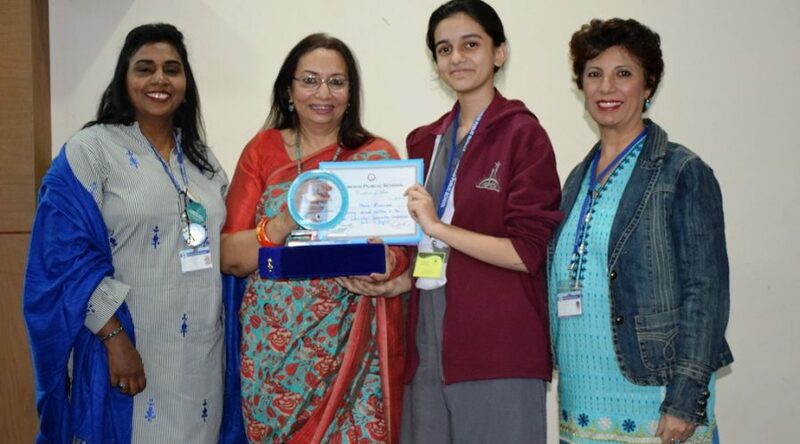 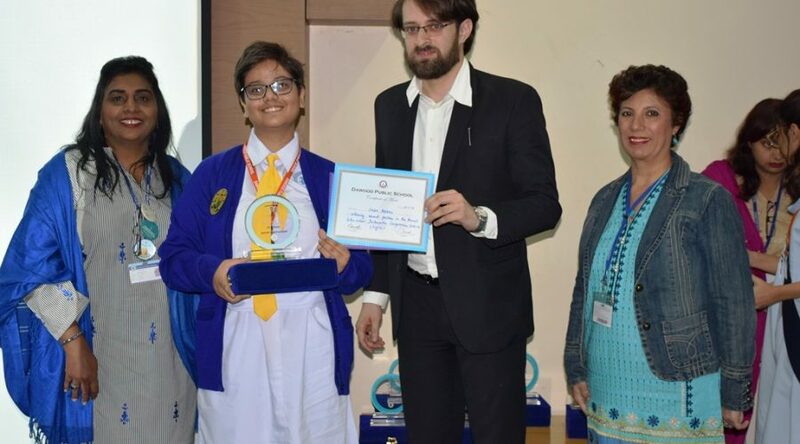 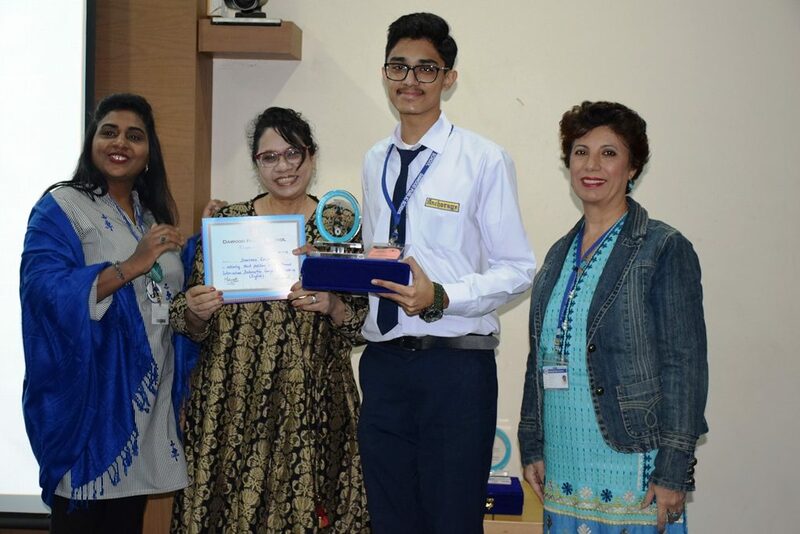 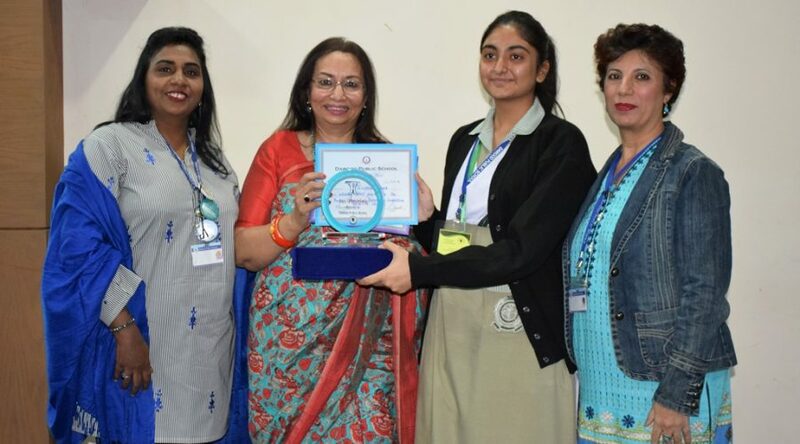 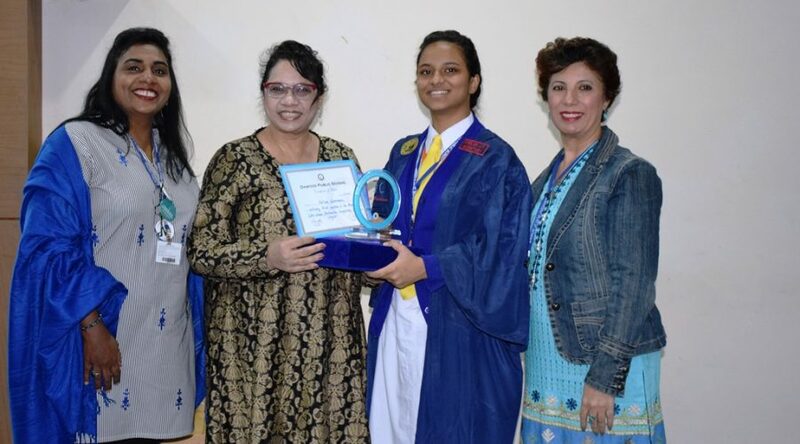 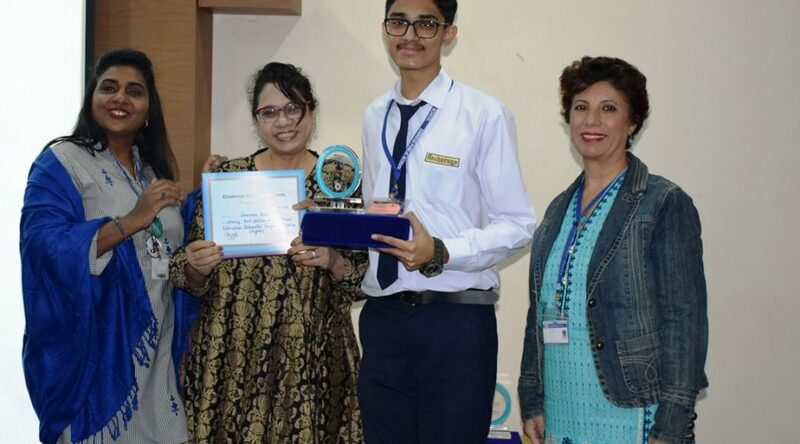 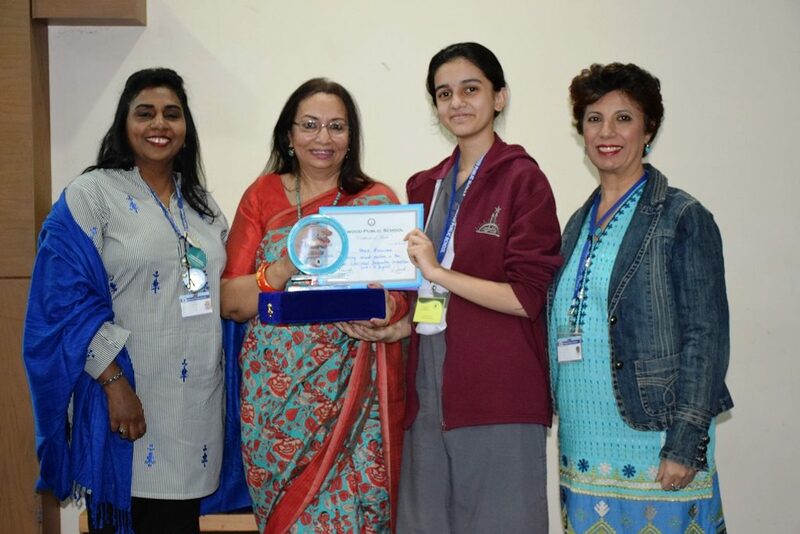 Dawood Public School hosted its Annual Inter-School Declamation Competition on January 15, 2019. 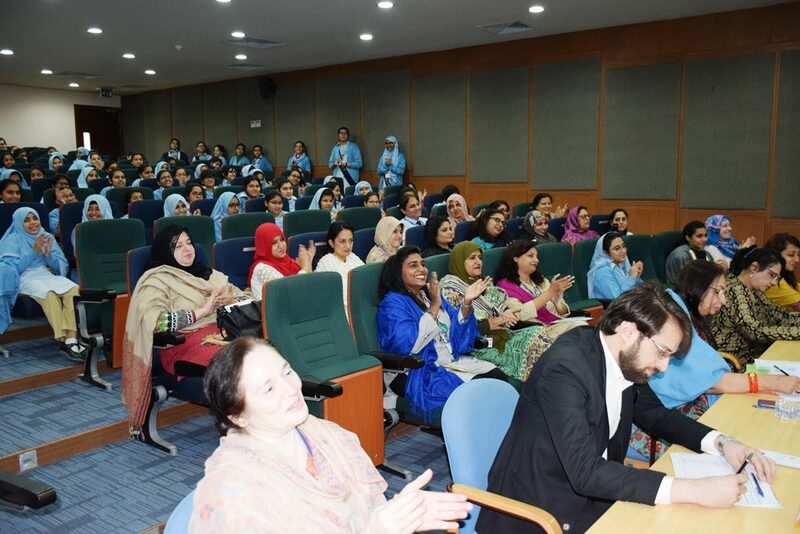 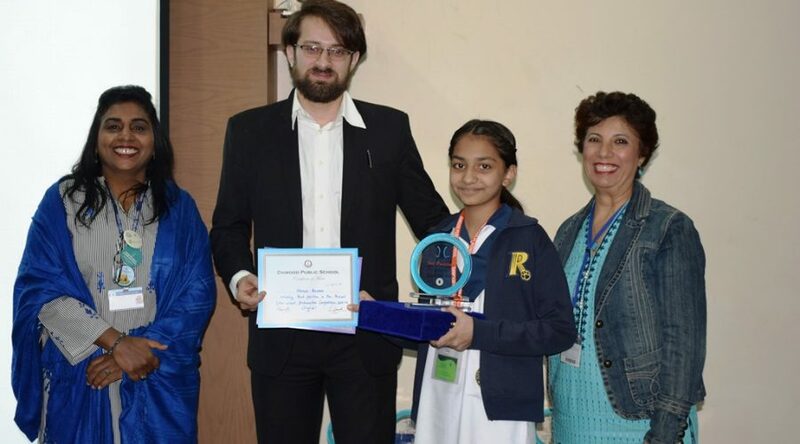 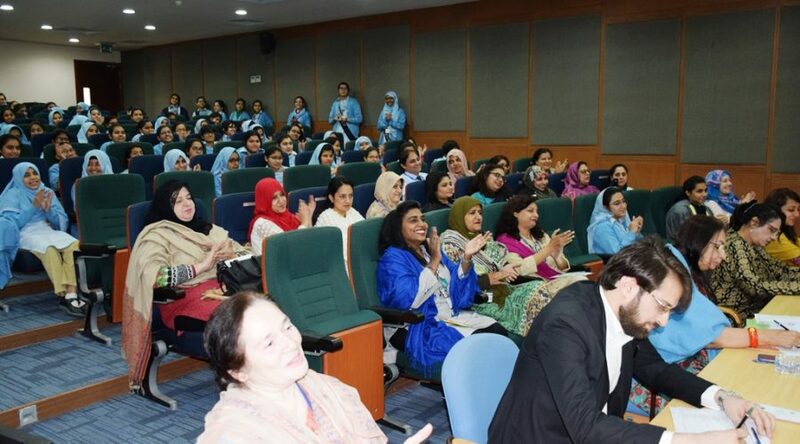 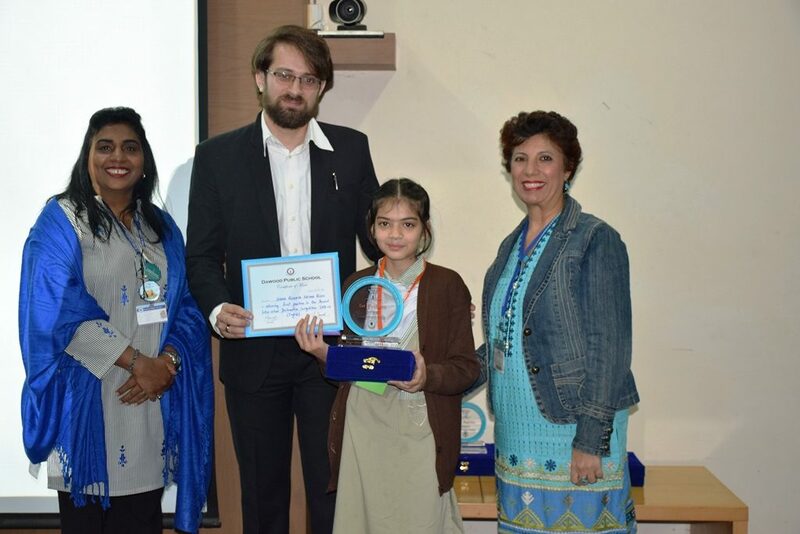 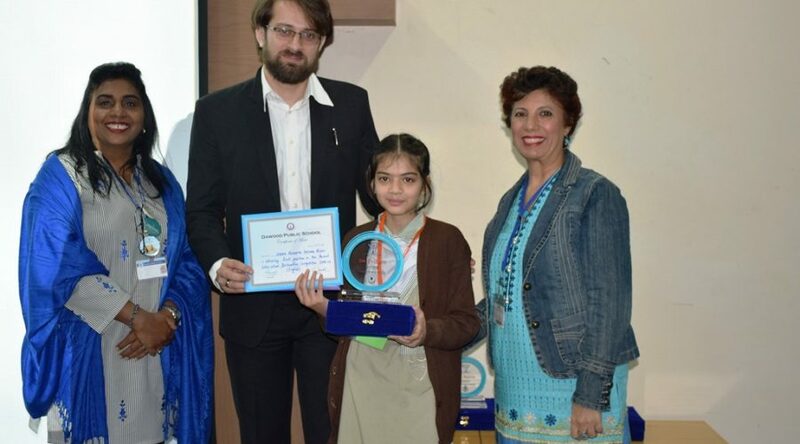 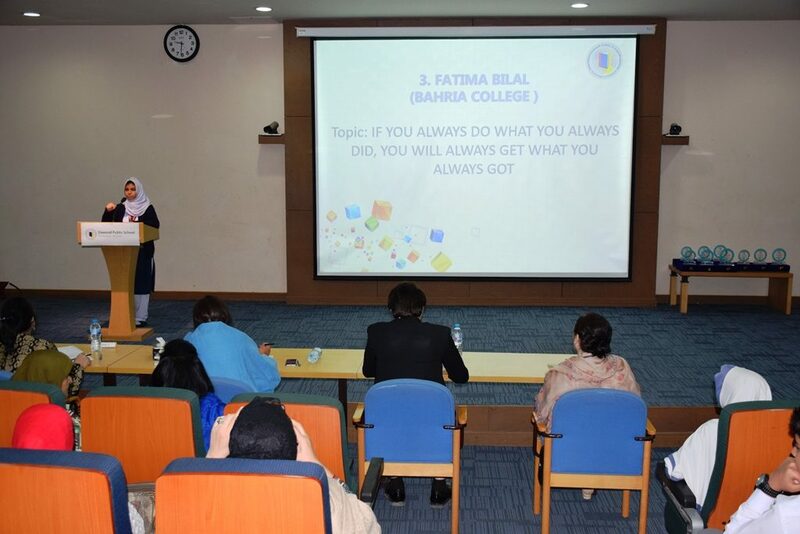 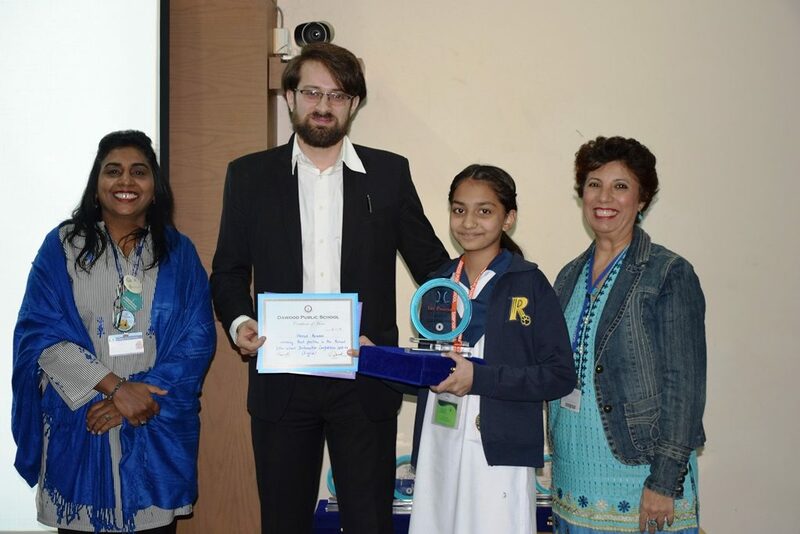 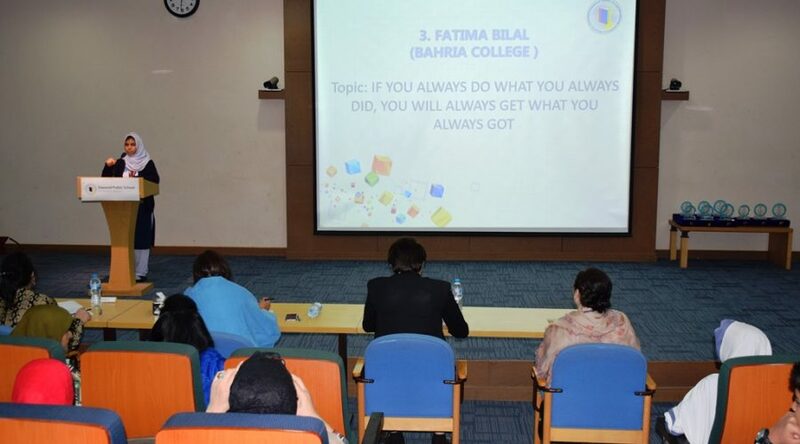 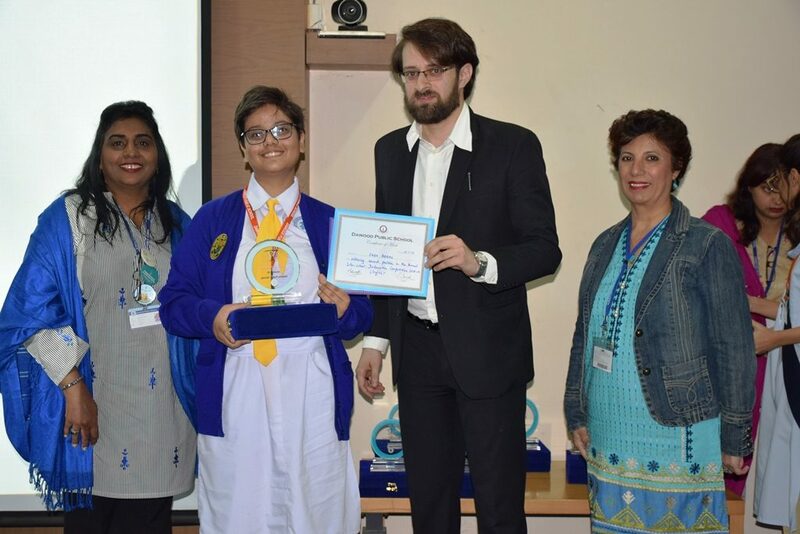 Held at the spacious KSBL auditorium the competition was adjucated by the esteemed personalities Mr Syed Muaz Shah, Ms Farah Shafi kamal and Ms Rumana Hussain renowned in the field of education. 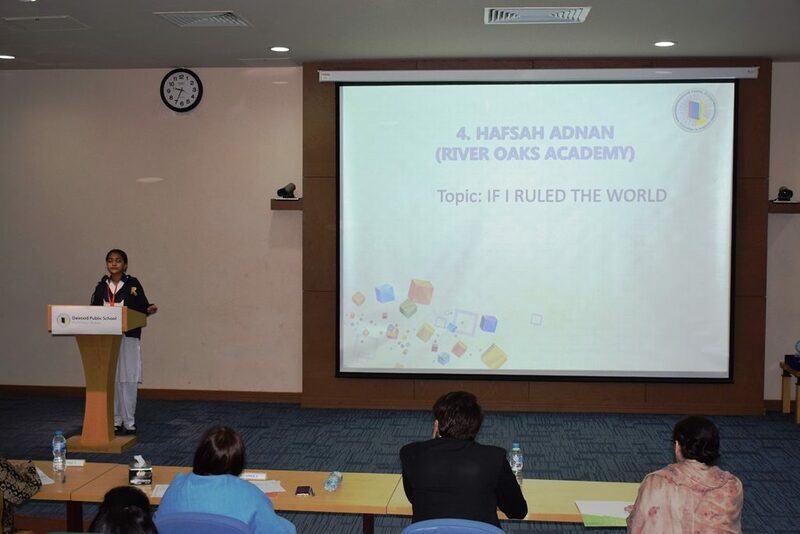 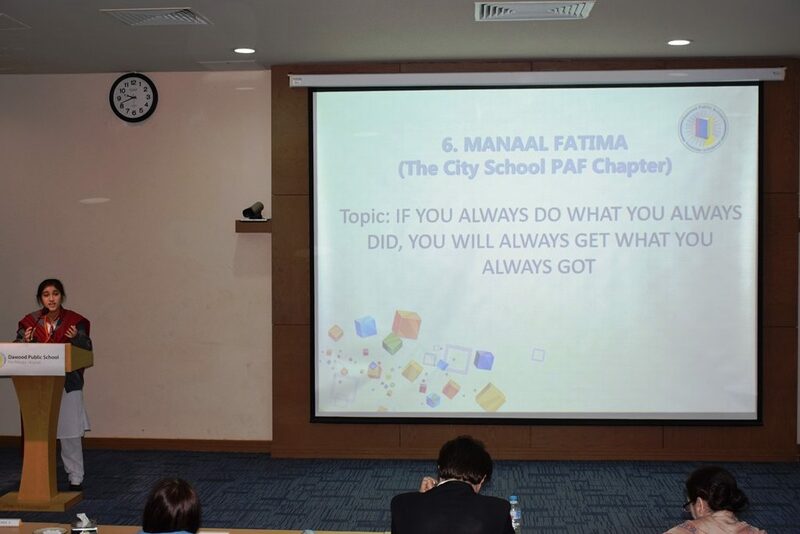 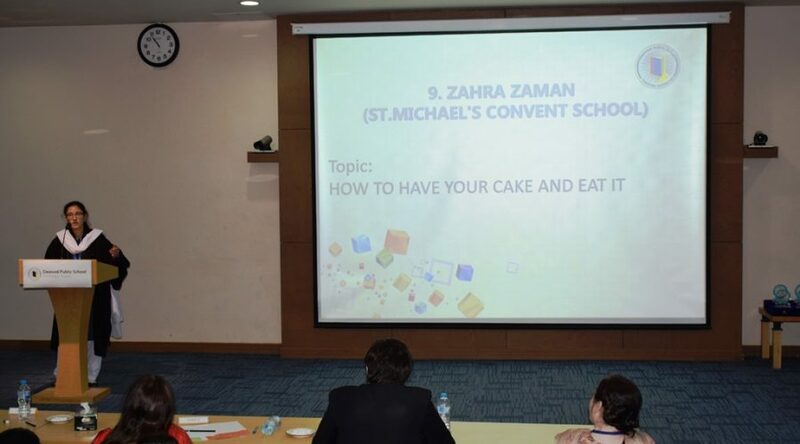 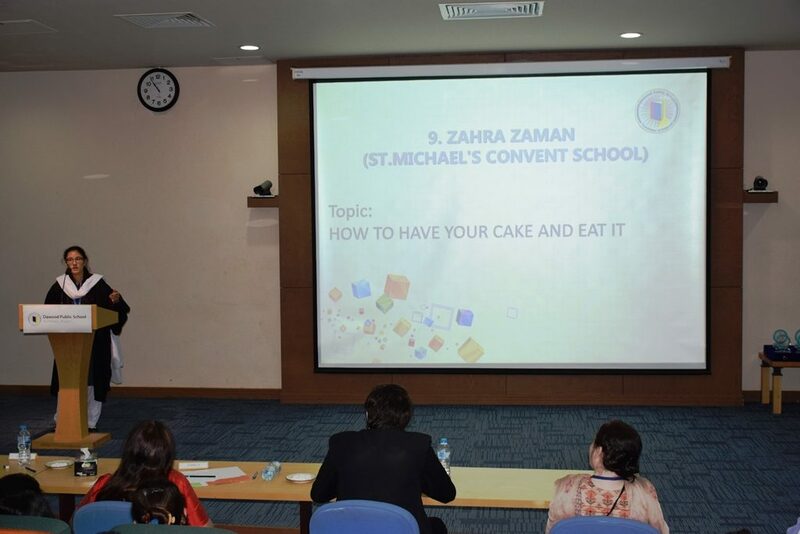 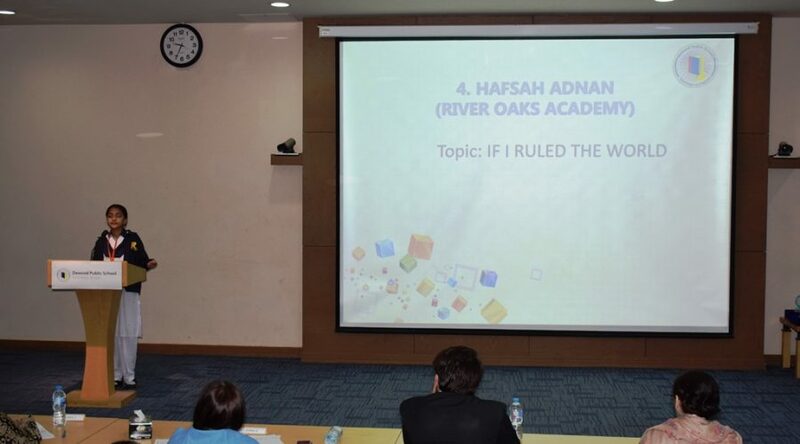 The event allowed the participation in three categories according to age levels and offered six debating topics. 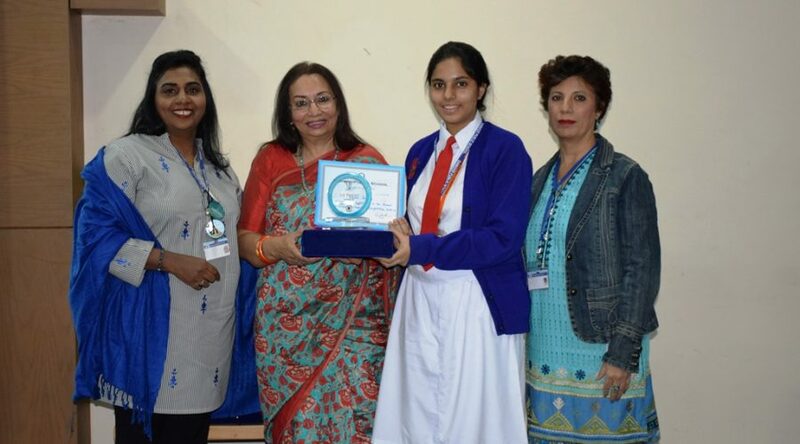 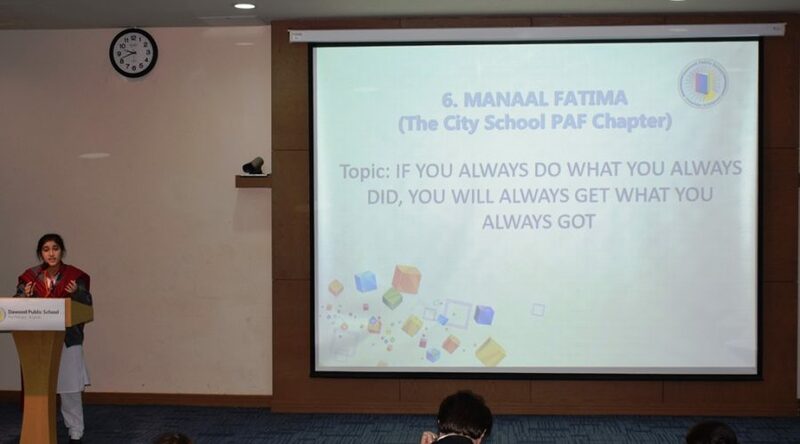 Certificates of participation were awarded to the students of The Anchorage School, Bahria College, QamareBani Hashim Higher Secondary School, River Oaks Academy, PECHS Girls’ School, The City PAF Chapter, St Michael Convent School, Mama Parsi Girls’ Secondary School, Greenshield Public School, DA Public School O and A Level, Cordoba School for A Levels, St Patrick’s High School. 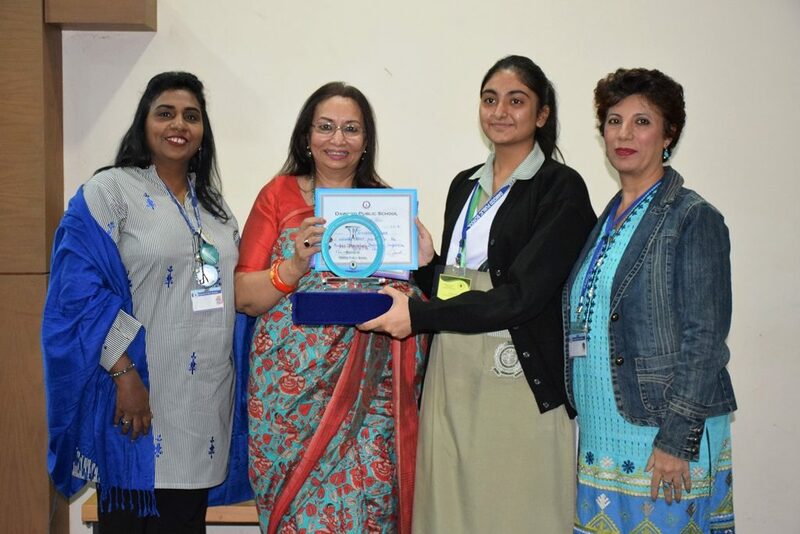 Certificate was awarded to the DPS students Sahal Shahid (O-Level) and Simra Shahid (A-Level) who participated in the event as host. 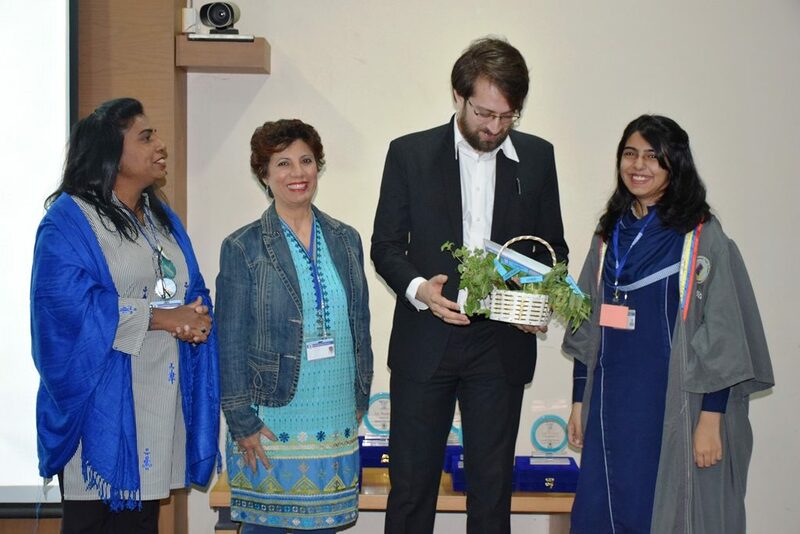 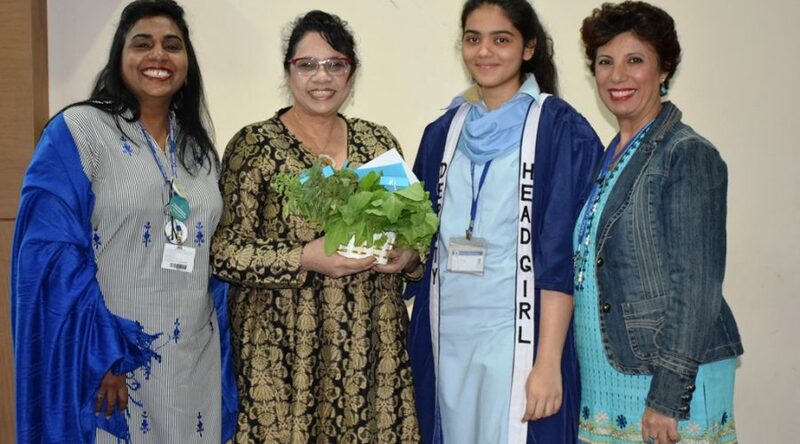 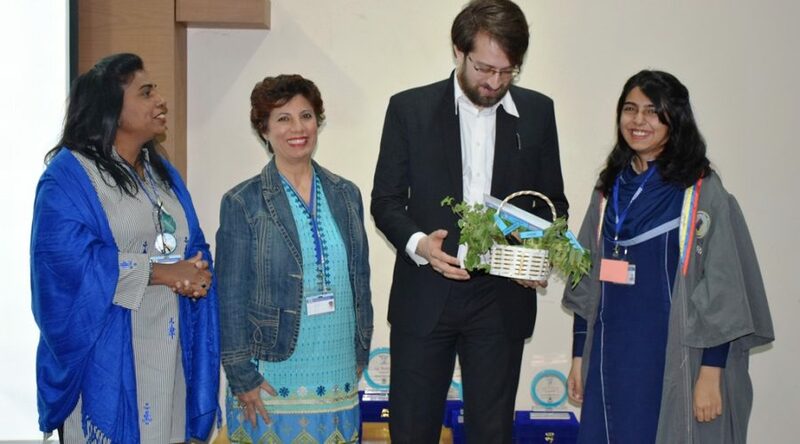 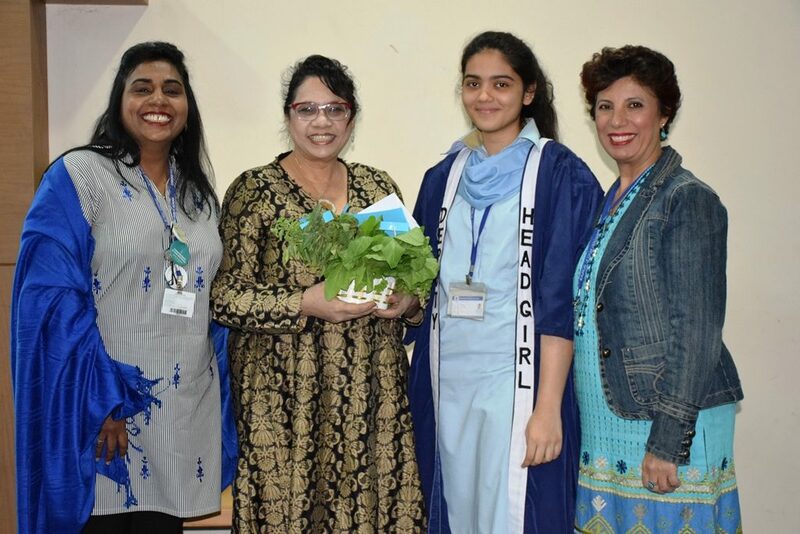 As a token of gratitude, DPS Deputy Head Girl O-Level Umaima Sohail, Head Girl O-Level Izma Amir and the Head girl A-Level Simra Shahid presented to the honorable judges, a basket of fresh homegrown organic vegetables cultivated in DPS horticulture garden. 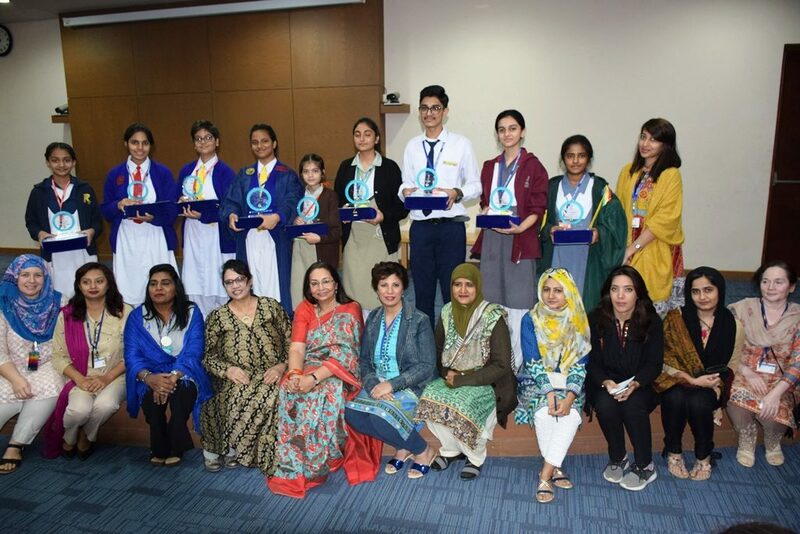 An exceptional event culminated with a group photo session. 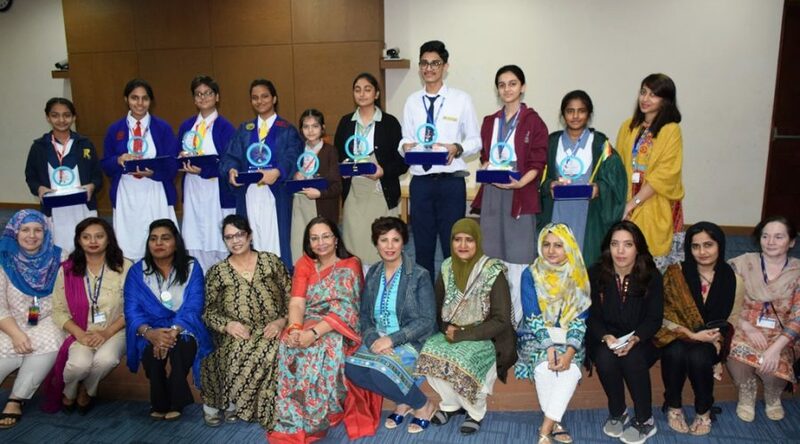 DPS extends heartiest congratulations to the winners, their competent teachers and the schools and looks forward to promote the annual tradition.